The easiest way to keep an app’s contents private or perhaps the nimble hands of your kids is to hide it. It’s certainly possible to hide apps on your Android phone, although there are multiple solutions you can use and the methods also depend on your device’s manufacturer. We’ll discuss how you can hide apps from the app drawer or home screen for some of the most popular Android phones. Samsung devices come with an app called Secure Folder – it creates a private encrypted space where you can access alternate versions of apps you have installed, but unlike the regular apps, the versions stored in Secure Folder will have their contents locked with a password, PIN, pattern or biometrics. If you just want to hide apps from the home screen on your Samsung device, open the Settings app and go to Display-> Home screen -> Hide apps. There, you can select the icons you want to hide and they won’t appear on the home screen anymore. Nevertheless, you should know the apps will still be visible in the app list and in search results. The HTC U11 and other models have a lightweight Sense interface overlay, and hiding apps on these devices is very easy since you can access this option from the app drawer settings. Open the app screen and tap the three-dot icon at the top. Select the option called “Show/hide apps”. Now you can choose the apps you want to hide. If you want to unhide some of the items, simply clear their checkboxes. Tap Done once you’re happy with your selection. To hide apps from the home screen on an LG phone, navigate to Settings -> Display -> Home screen -> Hide apps. 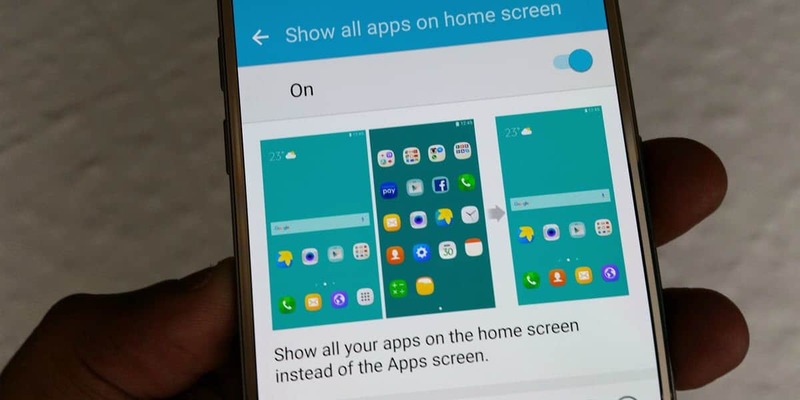 This will allow you to access the list of apps that can be hidden – you just need to select which ones you want to remove from the home screen. 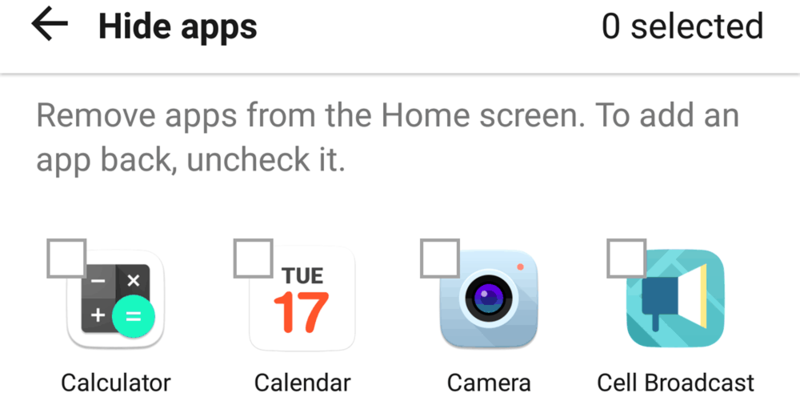 LG and other Android brands also provide the “Hide apps” option in the home screen or app drawer settings menu. Some manufacturer’s interfaces don’t provide the option to hide apps in which case you can rely on a third-party launcher to get this functionality. 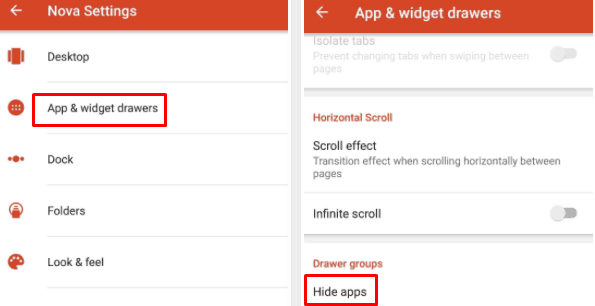 Nova Launcher’s settings menu has a section called App & widget drawers from where you can easily hide apps. Apex also lets you do this from its Drawer settings section. It’s also worth mentioning there are also other brands that provide stock apps similar to Samsung’s Secret Folder, for example, Huawei’s Gallery Vault. What solution are you using to hide apps on your Android phone? Let us know in the comments section!